Fresh from strong debate quips, Carly Fiorina has improbably raced from 14th to fifth place in the New Hampshire Republican primary polls and now enjoys a 70% favorability rating in Iowa, ahead of such career politicians as Jeb Bush, Marco Rubio, John Kasich, Rand Paul, Chris Christie, Rick Perry, George Pataki, and Lindsay Graham. It is time to take her candidacy seriously and examine her leadership record. Having never held elected office, she has staked her reputation on her business career. Fiorina is eager to be seen as the answer to Democratic slogans of a Republican war on women. She’s often been erroneously referred to as the first woman to lead a Fortune 500 firm, Hewlett-Packard (HPQ). That title actually belongs to The Washington Post Company’s Katharine Graham. Then there are the many other trailblazing women leaders preceding Fiorina, including Beechcraft’s Olive Ann Beech, Mattel’s Ruth Handler, Beatrice Food’s Loida Nicolas-Lewis, the Body Shop’s Anita Roddick, Martha Stewart, and Oprah Winfrey. 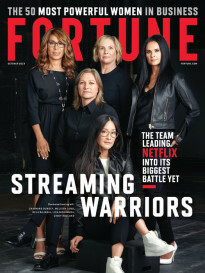 Still, with a scant 5% of Fortune 500 firms employing women CEOs, her leadership of a huge global enterprise in the macho field of IT is impressive. But how did she do? The answer in short is: Pretty badly. After such coercion, Deutsche Bank’s commercial bankers intervened; apparently fearing lost business then, supposedly independent Deutsche Bank fund managers reversed their vote. This was immediately challenged in Delaware Chancery Court. The court saw the danger of such alleged vote-buying, but ultimately it allowed the deal. In the 10 years since Fiorina’s ousting from HP, most of the acquired obsolete Compaq device businesses have been shuttered with the remainders divested this year. This Compaq “heavy metal” strategy was not even her expressed plan just months before the acquisition. Her stated goal was not to build up hardware but just the opposite, to emulate the revival of competitor IBM ramping up HP’s service revenues. In 2000, Fiorina failed to close a deal with Pricewaterhouse Coopers consulting business worth $18 billion. A few months later, PwC happily sold the business for $3.5 billion to IBM (IBM). Interestingly, this deal was skillfully executed by IBM’s current CEO Ginni Rometty. To add to the irony, Fiorina’s doubling down into the device business took HP into the exact opposite direction of IBM. IBM was exiting this commoditized space, selling its laptops and ThinkPads to Lenovo. Despite such carnage, Fiorina pocketed over $100 million in compensation for her short reign—including a $65 million signing bonus and a $21 million severance. I have studied comebacks from adversity, but she’s not shown the required contrition nor earned the needed exoneration, and she’s not served as a CEO since. Upon leaving Taiwan Semiconductor’s board, the firm disclosed she only attended 17% of the board meetings. Under Meg Whitman’s brilliant leadership, HP’s character and performance have recovered, but we have not seen Fiorina’s parallel resilience just yet. Jeffrey Sonnenfeld is Senior Associate Dean for Leadership Studies at the Yale School of Management and Lester Crown Professor of Management Practice and co-author of FIRING BACK (Harvard Business School Press).